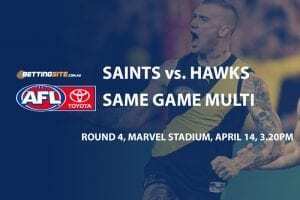 West Coast Eagles: $5.50 – Are the Eagles primed for back-to-back? Could the fireworks fly out west on Saturday night? 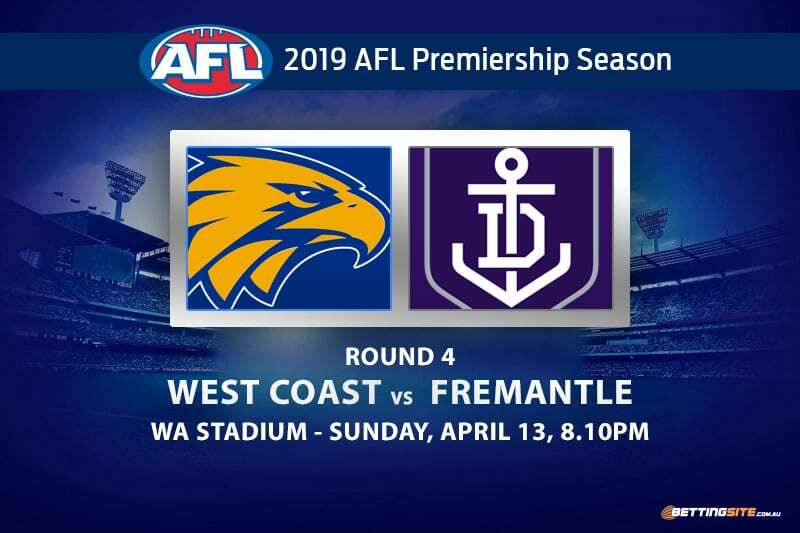 A Western Derby with a huge subplot will take centre stage in Round 4 when West Coast’s Andrew Gaff faces up to Fremantle’s Andrew Brayshaw for the first time since breaking his jaw in 2018. Gaff’s mind-explosion ultimately cost the gun midfielder eight weeks on the sideline and a spot in the Eagles’ 2018 AFL premiership team. 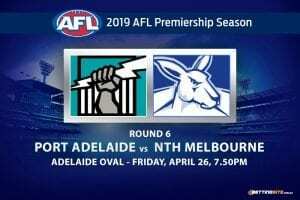 Can the Dockers get some revenge on the Eagles where it matters this week, or will the Eagles bully them around again? Fremantle captain Nat Fyfe will not play due to concussion symptoms, putting his side on the back foot before the first bounce. Jesse Hogan needs to lift for Fremantle after a slow start with his new club. 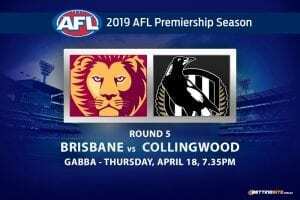 The Eagles defence is among the best in the competition, so Hogan will need some help from Cam McCarthy, Michael Walters and Matt Taberner to kick a winning score. West Coast has omitted its debutant from last week, Josh Rotham, as Liam Duggan makes his return to the side. Andrew Gaff to get 30 Disposals @ $1.50 – Is there a bonus available for this bet? With the crowd abusing him and the memory of last year’s match still in his mind, we’re backing Gaff in to dominate the contest. His resolve is much greater than most and he will not be beaten this week. If his recent form is anything to go by, then he will get 30 touches easily. Michael Walters appears to be the man who can fill the void that Nat Fyfe leaves in the midfield. His forward craft is very astute, but he can tough it out with the best in the middle of the ground. If Walters doesn’t start in the centre bounce, he will most likely begin on the wing, where his pace will burn all night long. Last week Cripps returned to the side and kicked four majors against a very capable Magpies defence. Cripps has been the beneficiary of a strong Eagles attack in which he can sneak under the guard and he is a beautiful, reliable kick at goal. Expect his hot form to continue. No player for the Dockers needs to lift as badly as Jesse Hogan, who the Dockers will need to have a big game if they’re any chance of victory. We expect, mostly due to enormous supply, Hogan will kick at least three goals and prove to be a handful for West Coast. 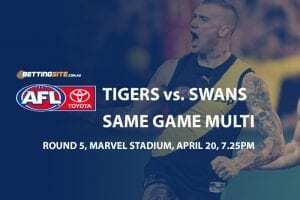 They clearly showed last week against the Magpies that they are the best team in the Perth and will easily be able to beat the Dockers without Nat Fyfe. 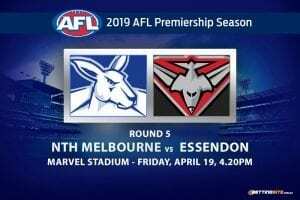 They should be premiership favourites after this match as they will blow the Dockers out of the water. Line Betting: West Coast Eagles -35.5 @ $1.90 – Which bookie offers the best Eagles odds? 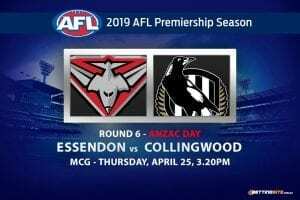 The Eagles have shown no signs of a premiership hangover and will look to stamp their authority on the competition in the Derby. Without Fyfe, the Dockers just don’t have the midfield grunt to go with their well-drilled opponents.